The North Island Credit Union Headquarters is a six-story, 128,000 square foot corporate office building with LEED "Silver" certification located in San Diego, California. The building massing of stone, light glass and the aluminum curtain wall reflect the two divergent cultures that exist at North Island Credit Union; a solid financial institution with an open casual community. The building embraces the “Island” theme. 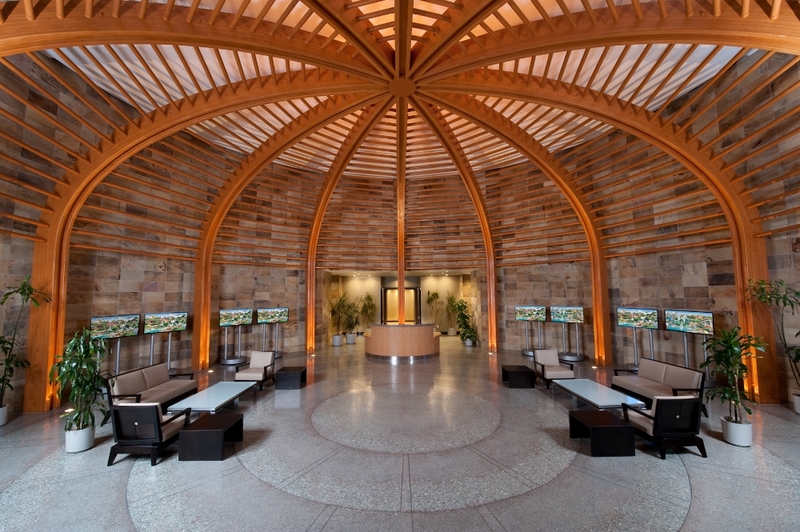 This was achieved with the use of enhanced concrete designed to mimic the breaking surf; a lobby encompassing a wooden structure that is reminiscent of a ‘Palapa’; and the use of tropical landscaping. The Building amenities include: multiple balconies, a large community center for use by the public, and employees, a health club, a café/lunchroom, a large training facility for employees, a corporate boardroom, and quiet relaxation room complete with Zen garden. Believing in responsible design, we adopted the use of “Green” technologies from the beginning to the end of the project. We starting with the building envelope that was designed to minimize heat gain; followed by recycling of construction debris; using recycled and renewable materials, such as bamboo flooring; installing waterless urinals; using recycled water for irrigation, and focusing on efficient mechanical systems. OPTO 22 is a 150,000 square foot Corporate Headquarters built for an international computer company located on an eight acre park like setting in Temecula, California. The project was designed to accommodate the manufacturing, research and corporate offices for a growing IT organization. The architecture consists of sandblasted natural concrete wall panels contrasting with horizontal solar gray glazing and long overhangs. A two story atrium lobby enhanced with sky-lighting connects the manufacturing wing with the office and research facilities. 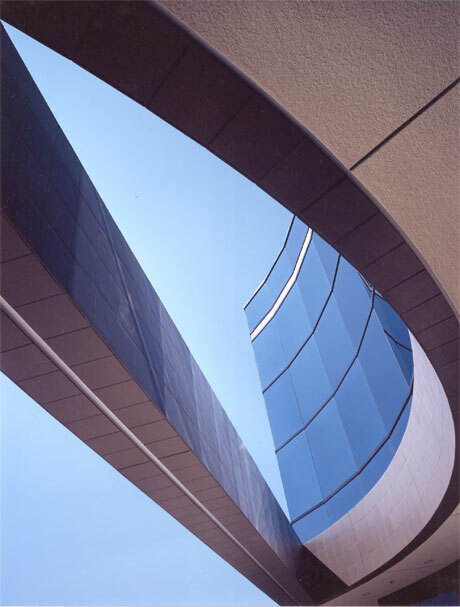 Rio Courtyard is a four-story corporate office building located adjacent to the San Diego River Walk in the Mission Valley area of San Diego, California. Designed to accommodate multiple tenants, the project provides Class A professional office space of up to 16,000 square foot per floor. The architecture expresses the contrast between the “Padre Gold” clefted stone massing and the solar green glazed curtain wall. A two-story lobby enhanced with wood paneled and stone provides an elegant transition space. 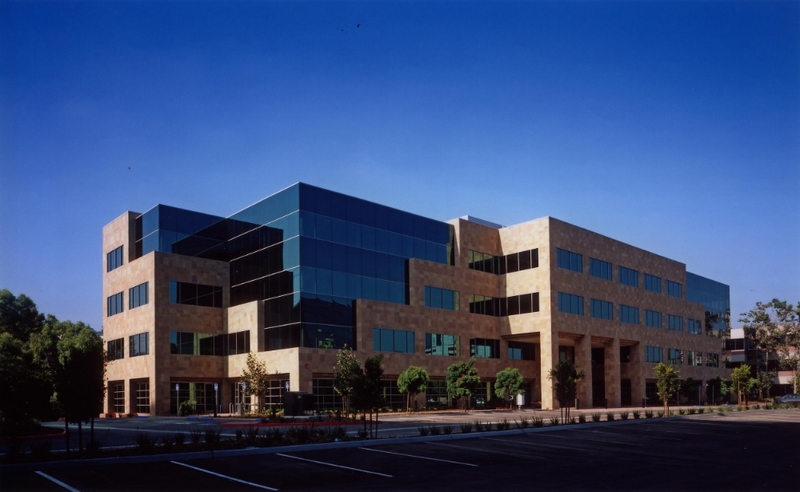 Located in the Mira Mesa office park, Westerra Plaza was designed as a multi-tenant three-story, class A corporate office building. The architecture is highlighted with a gracefully curving solar blue curtain wall anchored to the site with tile massing. A landscaped courtyard provides an entrance to the office suites. 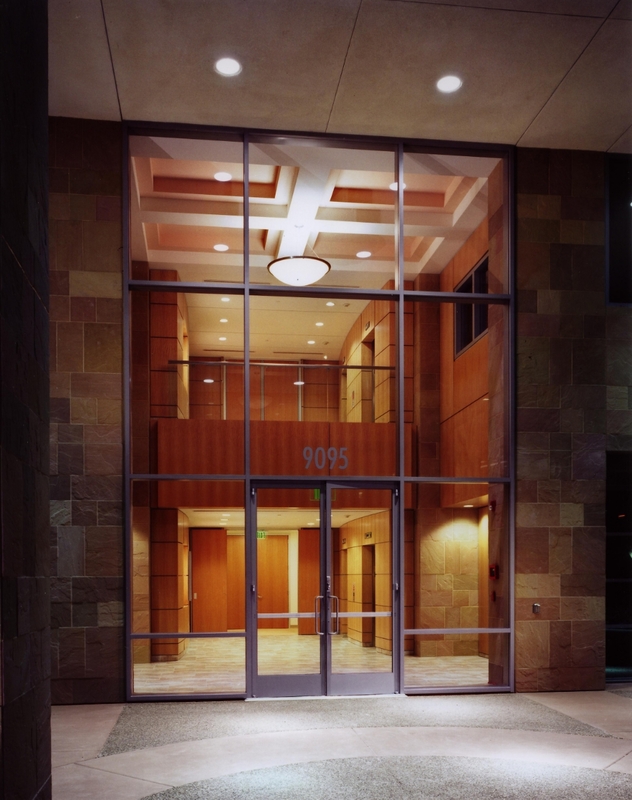 Each floor accommodates up to 20,000 square foot of office space.